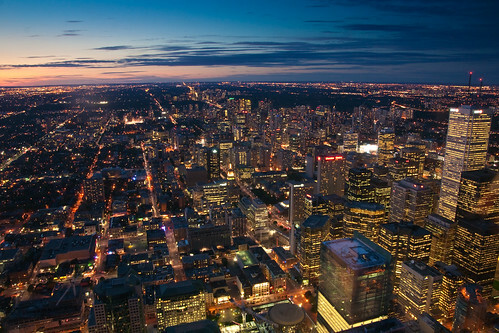 It was worth the lugging and the odd looks to take my tripod to the top of the CN Tower in Toronto, Ontario to take some long exposure shots as the sun went down. The tripod did not help with tourists and the reflections and smudges on the glass. Those took some creative MacGuyverism and patience to overcome. From the outside, the super tall hotels that ring the Canadian side of Niagara Falls are something of an eyesore. 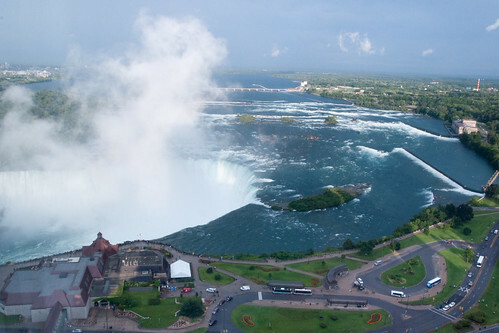 From the inside, however, they provide a wonderful view of the falls. Especially when your wife gets you a 15 floor upgrade because your original room "smelled like smoke". 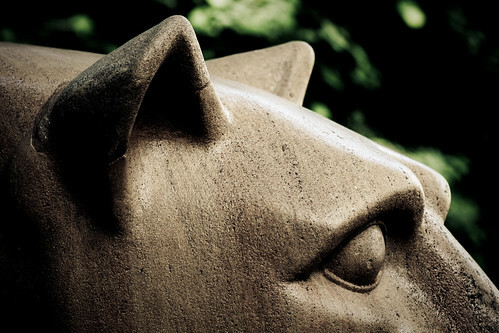 The Nittany Lion Shrine has got to be one of the most photographed mountain lion statues in all of Central Pennsylvania. Didn't stop me from taking a few shots when I visited the Holy Land last summer. A great shrine of a great mascot for a great school. We are!